Aquamarine, March’s birthstone, has a color reminiscent of the ocean and is mined from deep within the earth. Known in Hebrew as “Tarshish,” aquamarine is one of the gems included in the priestly breastplate of the high priest of the biblical Israelites. Aquamarine got its name from the Latin “aqua” (water) and “mar” (sea), as the gem’s blue-green color is reminiscent of sea water. In Jewish tradition, the aquamarine stone is believed to be the Tarshish gem, which was one of the Hoshen stones – the gems adorning the ceremonial breastplate worn by the high priest of the ancient Israelites. According to 17th century Rabbi Eliyahu Hacohen’s Midrash, the aquamarine has various healing attributes, including alleviating shortness of breath and developing intelligence. Both Rashi and 14th century Rabbi Behaye associated aquamarine to the Tribe of Asher, one of the 12 tribes of Israel. The link between the two is derived from aquamarine’s green shade, which resembled the color of olive oil, and which the tribe of Asher produced. Many ancient cultures believed aquamarines symbolized hope and the promise of a better future, as well as heroism and eternal love. In the Middle Ages, aquamarine was associated with precognition and was also used in treating eye ailments. Its color made it the symbol of youth and happiness and it was also used as an amulet against accidents. Aquamarines were also known as “the stones of eternal life,” and were considered lucky for their owner. Some believed aquamarines could enhanced articulacy, as well as soothe eye and throat aches. Jewelry design in Roman times included matching the color of the gems used to the intended topic. Due to the aquamarine’s bluish tint it was often used to depict the gods of the sea. In the Middle Ages, soothsayers would use aquamarines – also referred to as “the magic mirror” – to tell the future. 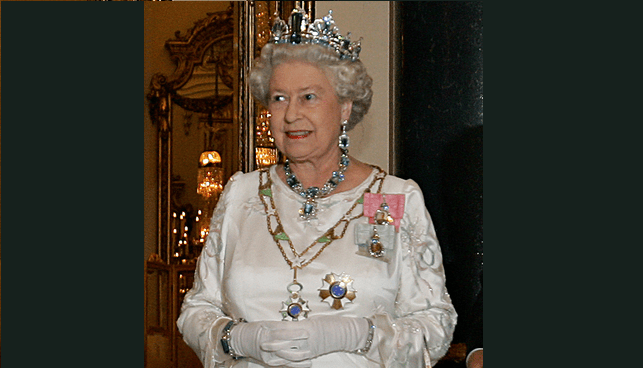 Saint Edward’s Crown, which is the official coronation crown of the English Royal Court, features a large aquamarine. Set with 444 diamonds and gems, St. Edward’s Crown is one of the oldest British Crown jewels. Leopold I of Austria purchased a 492 carat aquamarine, circa 1600. A 1,650 carat aquamarine was believed to be in the possession of a Portuguese military order when Portugal ruled over Brazil, which had aquamarine deposits. Aquamarines are believed to have been a particular favorite of Catherine the Great of Russia as the stones were mined in that country. During the coronation of Napoleon in 1804, the French leader’s ceremonial uniform included cape fasteners inlaid with aquamarines. According to Roman mythology, Neptune gifted the mermaids with aquamarine. Aquamarines are mined in Brazil, Russia, Madagascar, the United States, Zambia and Afghanistan.